A treadmill test is a diagnostic method that is most commonly used when your symptoms are triggered by exercise or other physical exertion. This test measures the way that your heart responds to exercise, and gives a good general picture of your hearts health. The test begins with a cardiologist recording your ECG and blood pressure when you are resting. You will then walk or run on a treadmill for up to fifteen minutes, during which activity your ECG and blood pressure will be tested again. If you feel unable to continue at any time, you will be able to stop, but ideally you will move on the treadmill until a target heart rate (based on age) has been reached, or until your symptoms have been triggered. 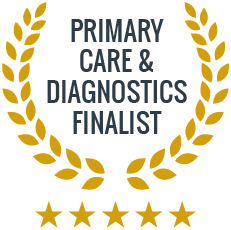 You will be monitored throughout the entire test by a specialist or cardiologist who will help you through the test and ensure that you are feeling well. Monitoring will continue for 15 minutes after you finish exercising, until your heart rate returns to normal. The procedure is non-invasive. Electrodes will be stuck to your chest and arms whilst you are moving on the treadmill, and a blood pressure cuff will be used to take readings. In terms of preparation for the test, it is best if you do not arrive with a full stomach. You can eat a light meal around two hours before the test. Alcohol, caffeine and cigarettes should be avoided for three hours prior to the test. Give us a call to make an appointment to discuss your heart health, or any other questions or concerns. 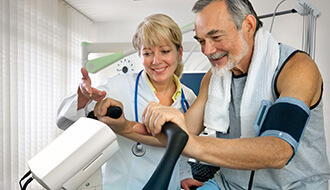 Our cardiologists may recommend that you have a treadmill test, depending on the nature of your symptoms. Is there anything I should do to prepare for treadmill testing? It is best to eat no later than 2 hours before your test, so as not to arrive with a full stomach. You also need to avoid alcohol, caffeine, and cigarettes for 3 hours prior. Do I have to exercise during this test? Yes, although you will be able to stop at any point if you feel unwell. You will walk or run on the treadmill until you experience symptoms, or until your target heart rate has been reached. Is this testing painful or invasive? No, the results of this test are measured with electrodes that are stuck to your chest and arms, and a blood pressure cuff. These are non-invasive and painless.